President Theodore Roosevelt is remembered for his oration. Lines like “speak softly and carry a big stick,” “the man who really counts in the world is the doer, not the mere critic,” and “the government is us; we are the government, you and I,” have deservedly been remembered. 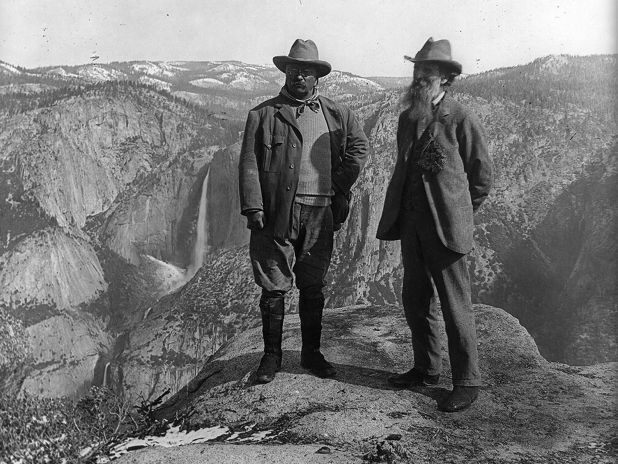 But Roosevelt was also a conservationist, and he often put his skills to use in support of that cause. “As a historian and a frontiersman,” writes historian Leroy G. Dorsey, Roosevelt probably understood the significance of the social pressures that he was fighting by saying that resource use should be limited. “For centuries citizens worshipped the notion of a God-blessed virgin land that belonged to them—an ownership that allowed them unfettered use (and misuse) of the land for survival, profit, and as a means to understand American identity,” he writes. Roosevelt had been president since 1901, and during those years, according to the Department of the Interior, he had worked to establish the national park system and create national wildlife refuges. He also created the United States Forest Service. The speech’s most important contribution, writes historian Jessica Sheffield, was making conservation sound like “a public (rather than private) and moral (rather than economic) issue.” And Roosevelt did so on a grand stage: his event involved all levels of government, she wrote, and created a spectacle for press to report on. Newspapers, which were bombarded with advance notice of the governors conference, she writes, wrote at length about the event and Roosevelt’s speech. “By linking conservation to themes of civilization, American patriotism and morality,” she writes, “Roosevelt turned the conservation issue from one of private use of resources into a public concern about the future of the United States.” It was a theme he built on in his final State of the Union address later that year. Should conservation of our national parks be a priority? Why or why not?